What does a "Magic Lamp" and a "White Headed Fly" have in common? Richard Eyer was born in Santa Monica, California on May 6, 1945. Part of that start was modeling work in a “Cole of California” swim suit ad with actress and swimmer Esther Williams. 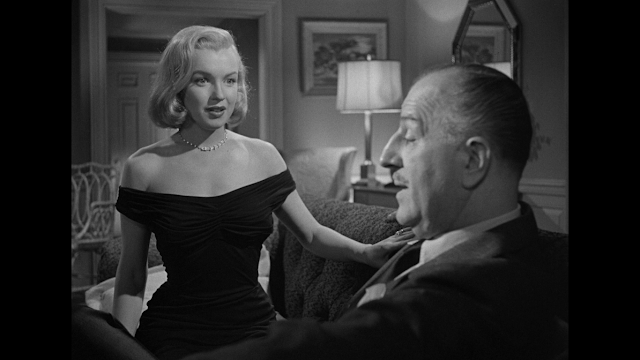 Richard’s first actual acting role was on an October 5, 1952 episode of "The Roy Rodgers Show" entitled "Huntin" For Trouble" playing a character namerd Bobby Sharon. He would appear over the next 14 years in 100 television shows ending on January 31, 1967 with “Encounter” on the series “Combat” four months before his 22nd birthday. The "Roy Rodgers Show" would be followed with an non-screen credited role in Eyer's first motion picture 1952's "Invasion U.S,A,". This low budget cold war thriller was one of the first, if not the first to bring American's biggest fear to life. The take over of the United States by the Soviet Union. Richard Eyer’s first screen credited role was as Billy Kettle in 1954’s “Ma and Pa Kettle at Home” which was part of a very successful series from Universal Studios. Ma and Pa had first appeared in the 1947 movie “The Egg and I” starring Claudette Colbert and Fred MacMurray and would continue with their 15 children in 9 more films through 1957. Eyer would be in eight of those nine. 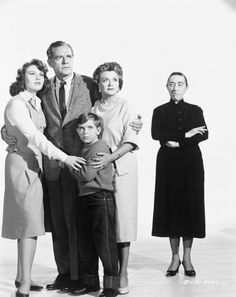 Richard played Ralphie Hilliard who keeps getting on Humprey Bogart’s nerves much to the concern of his family in William Wyler’s 1955 film “The Desperate Hours”. The motion picture also starred Fredric March, Arthur Kennedy and Martha Scott and was about escaped convicts terrorizing a suburban family they’re holding hostage. As a result of Eyer’s previous performance in “The Desperate Hours”. William Wyler personally requested Richard for 1956’s “The Friendly Persuasion” starring Gary Cooper, Dorothy McGuire and Anthony Perkins. Eyer has fourth billing behind Perkins playing Cooper’s younger son “Little Jess”. Who has a memorable running feud with his mother’s pet goose throughout the motion picture. The Science-Monster Who Would Destroy The World! One had to wonder was this the same Robby? The real "Monster" is not the implied "Robby" which as anyone knew could not hold Richard Eyer in one hand, but the "Supercomputer". On the other hand there was this kid friendly poster which was aimed at the real target audience for the picture. The computer unbeknownst to Timmie is planning the takeover of the world. The computer keeps helping him with his pranks and further gaining the boys confidence. It makes him invisible and Timmie starts playing pranks on his family and people at the project. Timmie discovers the truth and teams up with the Robot to stop the computer’s plans. The problem with the movie is Edmund Cooper who came up with the story and Cyril Hume who wrote the screenplay had no idea as to what direction they wanted the story to go. For most of the film the audience is watching a comedy science fiction film, Then suddenly almost at the end of the picture everything gets serious and we are talking about a supercomputer wanting to take over the control of mankind. A subject best addressed 13 years later in 1970’s “Colossus: The Forbin Project”. The plot just doesn’t work and the picture becomes flawed. 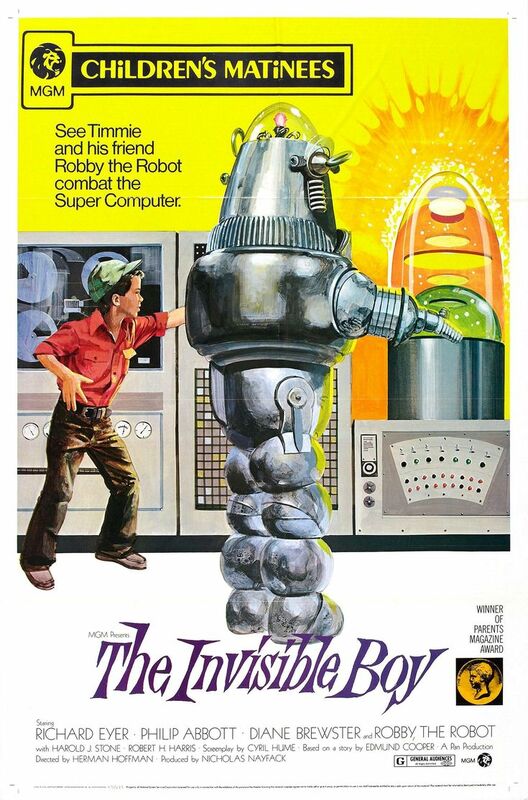 Although I admit that 10 year old Lloyd enjoyed the film mainly to see “Robby the Robot” again. Apparently there were others like me, because according to MGM the film cost $384,000 to make and the World Wide Box Office brought in $840,000. A respectful profit for a "Children's Picture". On December 21,1958 Richard Eyer again had star and title billing as “Johnny Rocco”. He played the son of a gangster who witnessed a murder his father knew nothing about. The gang members involved in the murder plan to kill Johnny, because they fear he will tip off the police. From the land beyond, beyond... from the world past hope and fear... I bid you Genie, now appear. I cannot return to the real world until I am called by my name... Barani. 13 year old Richard Eyer would forever be remembered for Ray Harryhausen’s “The 7th Voyage of Sinbad”. This was the first Color feature by Harryhausen and the first film in his Dynamation process. Richard Eyer’s salary was $600 a day. 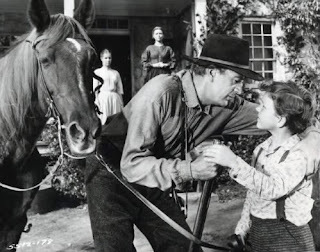 "The 7th Voyage of Sinbad" would be Richard Eyer’s last feature film and for the next 9 years he would appear only on television including a short lived series entitled “Stagecoach West” at the age of 15. The series ran from October 4, 1960 to June 27, 1961 for 38 episodes. At this time Richard’s talent agent Milton Rossner who had been with him from the start passed away and he reevaluated his future. He continued acting on television until 1967 when he appeared for the last time on an episode of "Combat" entitled "Encounter". Aside from two films “The Invisible Boy” and “Johnny Rocco”, Eyer was always a solid character actor, but not a lead as his brother had become. Richard Eyer made the decision to leave acting and become a third grade elementary school teacher in Bishop, California, in Inyo Country along the Sierra Nevada’s. In 2000 the population was 3,575 and rose in 2010 to 3,879. A completely different and less stressful place than Hollywood. While there he met and married Laurie Lynn Seabern in 1970. They would divorce in 1983. The two have three children Samantha Rae Eyer, Benjamin Adam Eyer and Andrew Z. Eyer. Richard retired from teaching in 2006 and for a while designed and built tennis courts. At the time of this reading Richard Eyer is completely retired. The flip side of the coin is Charles Herbert and his story is very different than Richard Eyer's. Charles Herbert Saperstein was born three years after Richard Eyer on December 23, 1948 in Culver City, California the next city over from Santa Monica. I just happened to be riding on a bus while on a shopping trip with my mother one day and a gentleman who was a talent agent in Hollywood, named Cosmo Morgan, saw me talking and must have thought I was cute or something. He gave me his card, which I immediately tried to give to the bus driver! That’s basically how it started. Where Richard Eyer was supported by his family without pressure. Charles Herbert Saperstein became the sole support of his family by the age of five. Louis Saperstein had some form of heart condition and could not work and as his caregiver neither could Charles' mother Pearl. Charles Herbert actually started his career at four on a forgotten television show “Half Pint Panel” in 1952. His first movie role was without screen credit in 1954’s “The Long, Long Trailer” starring Lucille Ball and Desi Arnaz. This was followed by two roles on the television series "The Bob Cummings Show" without on screen credit. Then came an interesting film in 1955 "The Night Holds Terror" which was a low budget picture designed to beat "The Desperate Hours" to the theaters. The plot sounds awfully similar to the Humphrey Bogart picture about to be released that Richard Eyer was featured in. A group of criminals take over a man's home and terrorize the family. Two of the criminals were played by then unknowns Vince Edwards and John Cassavetes. While playing the family man who made the mistake of picking up a hitchhiker was also the unknown Jack Kelly. Once more the child actor received no recognition for the role he played. 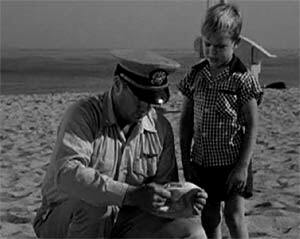 A favorite 50’s monster film of mine was “The Monster That Challenged the World” and it came next for child actor Charles Herbert in a role identified simply as the boy holding the hat of Seaman Morty Beatty who has been killed. My parents made that mistake, without malice; they were not too familiar with the problems that child actors face. So Charles Herbert attempted public school going to Melrose Elementary, Bancroft Junior High and Fairfax High my mothers old alma mater. One of the main problems was Charles was dealing with non-acting children who did not understand the pressures the young man was under. In fact in an attempt to avoid all the comments about the films they were seeing him in from the other kids at each of the schools. Charles invented the story that it was his “twin brother” they were seeing on screen. In 1958 came a film I fondly remember “The Colossus of New York”. 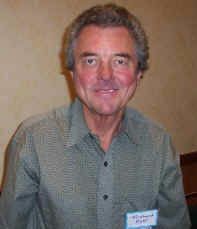 Charles Herbert played Billy Spensser the son of scientist Jeremy Spensser played by Ross Martin. Jeremy is the son of William Spensser who is the head of a family of scientists and humanitarians. On the night of winning the “International Peace Prize” Jeremy is killed in a car accident, or so people will believe. William has kept his brain alive and convinces his other son Henry to help him transfer the brain into a giant robotic body. A serious of events occur as Jeremy’s brain starts to go mad and it is his son played by Charles Herbert that restores his father’s brain to a moment or two of sanity. Events that lead to the destruction of the Colossus. The young actor's second film in 1958 was the original film version of “The Fly”. In the film Charles Herbert is Philippe Delambre the young son of Al (David) Hedison's Andre and Patricia Owens' Helene. The motion picture is most associated with the third billed actor Vincent Price as Andre's Brother Francois. The movie, unlike David Cronenberg’s remake, is based upon the original short story by George Langelaan which is really more a murder mystery than a horror story with a taut screenplay by future novelist James Clavell. The question being why did Andre's wife Helene murder her loving husband? Whom everyone knew she adored? Andre’s body being found in a hydraulic press in such a way as to destroy his head and one arm only. Charles Herbert was very effective as the little boy given the task of looking for a fly with a white head he once caught, but not to kill it. At the film's climax he finally discovers it in a spider’s web. after him. At the time he thought these were not childish taunts, but proof of his popularity.However, as time went on as I wrote above he would need to invent his twin. Herbert’s third 1958 motion picture was a major comedy of the time “Houseboat” starring Gary Grant and Sophia Loren. He played the middle child of Grant’s three children, but. three major films in one year had to be taking a toll on a young man of 10. “Houseboat” was followed by appearances on four television programs. Which included four episodes of “The Donna Reed Show” and seven of the realistic “Men into Space”. Along with a role in the movie “The Man in the Net” starring Alan Ladd and Carolyn Jones. 1960 would find Charles Herbert in three motion pictures including two with "Star" billing. The first film role was as one of the children of Doris Day and David Niven in “Please Don’t Eat the Daisies”. A very popular film at the time. However, it is the next two pictures that suddenly made Charles Herbert a “Star”. As with the word “Classic” use your own definition for what a “Star” really is. The first of the two movies was “The Boy and the Pirates”. It was produced, directed and partly written by Bert I. Gordon. The purpose of the movie was nothing less than Gordon wanted to make a movie with his 10 year old daughter Susan playing the lead. 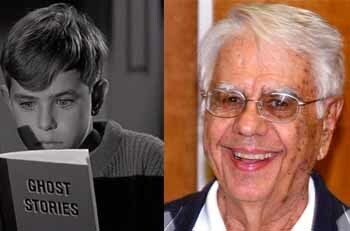 For the part of “The Boy” he hired 12 year old Charles Herbert. Although Bert I. Gordon wanted Susan to be the top billed performer he was no fool and knew Herbert had built up a following. Timothy Carey was cast as one of Blackbeard’s Pirate's. Timothy Carey on this movie, probably scared me more than The Colossus of New York! But he was a nice man, and he always tried to make you feel, 'I’m not really crazy,' and you would say, 'Okay.' And then he would walk away and you’d go, 'He’s CRAZY!' He was a scary man. He’d look at me and I would run behind my mother. And I had to catch up to her, because she was tryin’ to find somebody else to hide behind! "The Boy and the Pirates" starts with Charles Herbert's character being scolded by his father over his school grades. He meets another class mate Susan Gordon and the two start to play on an old ship wreck. Herbert finds an odd looking jar and wishes he was back in the time of the pirates, Suddenly he finds himself on Blackbeard’s Queen Anne’s Revenge and his schoolmate Kathy is now Katrina Van Keif a prisoner of the pirates. The film has been described as an engaging fantasy by some, but criticized by others for at times being overly violent for what is essentially a children’s adventure tale. It was Charles Herbert’s next motion picture that people remember most. William Castle wanted Charles for the film as he recognized that at the time, 1960, he was the most popular child film star. Herbert was making close to $1,650 a week in 1959. Charles Herbert’s contractual condition was that he got top billing. Castle had no problem with that. Many young viewers and their parents watched Charles playing Arthur “Buck” Zorba become involved with the legacy of his Ghost collecting relative and the quest for hidden money in "13 Ghosts". The film contained William Castle's latest gimmick as the screen told the audience to. “Put your Ghost Viewers” on. 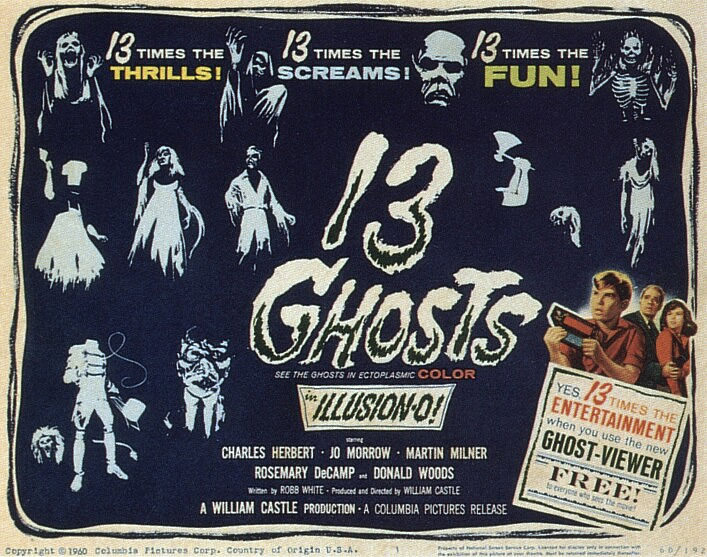 The original "13 Ghosts" is available on DVD with both the "Ghost Viewer", one included, version and the non-Ghost Viewer versions. From 1961 through 1968 the young actor continued to make the rounds of popular television shows such as “77 Sunset Strip”, “The Fugitive” and “Family Affair” and then the bottom fell out and his career ended. I lost a lot more than the financial things. Financial things are way down the list for me. The way that it’s set up in Hollywood is, I did 50 TV shows, the 20 movies, the commercials, all of that stuff... and when I turned 21, zero was put away in the bank for me. It was not that way for every kid actor: If you signed a long-term contract, like for instance if you did Lassie or The Donna Reed Show or something, they put away like five percent for you. But if you were not on a long-term contract, ALL of the money you earned for the movies, for ALL the TV things, went to your guardians, and your guardians could do with it whatever they saw fit. Although he loved his parents they spent every cent Charles Herbert made. His bank account contained just $1,700. Herbert was now finding it hard to get adult roles, because he was considered that cute scene stealing kid actor. Herbert was always happiest and at his best when he was performing. A talented actor, he felt secure and confident when the cameras rolled, but like many child actors, he faced difficulties adjusting to the real world beyond the controlled environment inside the studio walls. The career of a child actor often creates a profoundly troubling lack of identity at a difficult time, just after he has lost his commercial value. Charles Herbert had never known any other work than acting. While making the high salary he was getting and never thinking his parents weren't banking some of his income. Herbert had never considered any other career as Richard Eyer did. In short when at 21 years of age Charles Herbert was lost. The actor turned to drugs and it would take until 2005 and just surviving, before Charles Herbert Saperstein considered himself “clean and sober”. He owed his turn around to follow child star Paul Peterson from the 1950’s “Donna Reed Show” and the motion picture "Houseboat". Peterson went through the same addiction to drugs as a result of not being able to find work. Paul Peterson had set up a Support Group for other child actors. Charles became a paid counselor for the group and found extra income with appeares from time to time at Science Fiction Conventions. On October 31, 2015 Charles Herbert passed away in Las Vegas, Nevada. He was 66 years old.